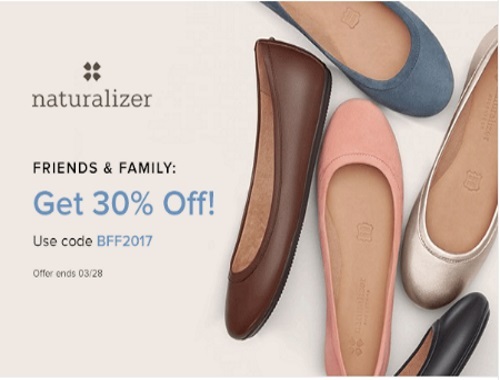 Naturalizer has a Friends & Family Event on now! Save 30% off any order! Enter the promo cod BFF2017 at checkout. Offer is valid until Monday, March 27 2017. Update March 28 - Extended one more day to March 28!